1. The Branch Bay. This was the first of the layouts and is complete. It shows the bay platform at Farthing ca. 1904-1908, and draws on features from the bays at Newbury station. 2. The Goods Depot. This layout is also complete. 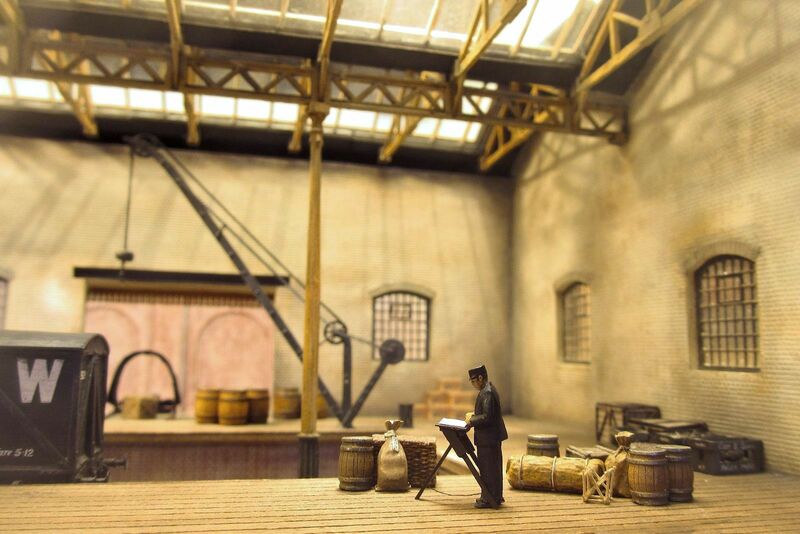 It shows part of a large goods depot, seen from the inside and looking out. It mixes features from the old goods depots at Windsor, Reading and Hockley. 3. The Old Yard. This layout is in the final stages of construction. It focuses on the remains of the old N&SJR station at Farthing, long since swallowed up by the GWR and converted to a secondary good yard. 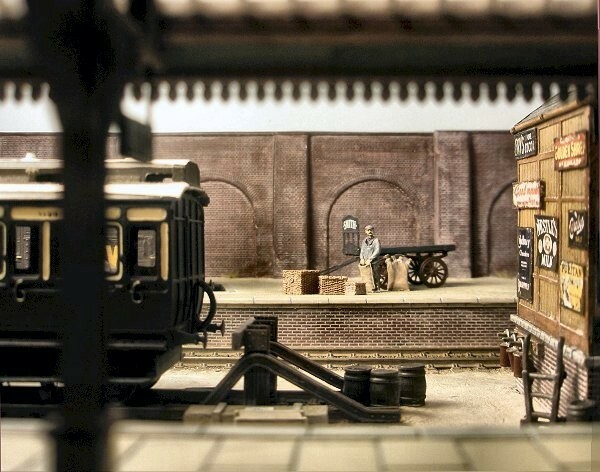 The layout was inspired by the history and goods operations of Stratford on Avon, Witney Goods and Gloucester Old Yard.